Polystyrene is one of the worst and most common types of plastic, but Whataburger still uses it. According to the EPA, Americans throw out 70 million polystyrene foam cups every day, and that doesn't include bowls and takeout containers. Of these, about one third end up in waterways: rivers, lakes, and especially oceans. Nothing we use for a few minutes should be allowed to pollute our oceans and rivers and threaten wildlife for centuries. McDonald's and Dunkin Donuts have stopped using polystyrene cups and containers. Whataburger says they're investigating alternatives, but they need to hear from customers that we want them to act now. If they don't, what a waste. 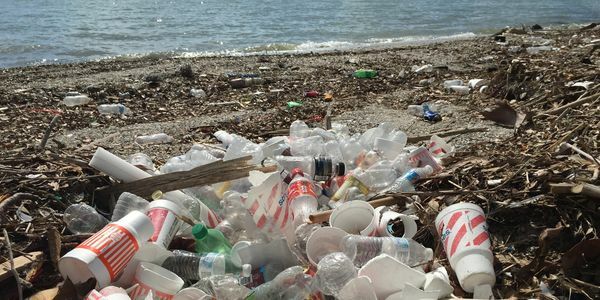 Photo is of non-recyclable polystyrene foam cups littering Corpus Christi Bay beach. If you look closely, you'll notice Whataburger's familiar colors and logo. Hi all, we will deliver the petition asking Whataburger to stop using styrofoam this Monday, Nov. 19. We're doing delivery events in Austin, Corpus Christi and the company's headquarters in San Antonio (all tentatively at 11 AM). If you'd like to join us for one of those events, or deliver the petitions to a Whataburger in your town, let us know and we'll get you all the details!